Fall is a favorite season for many, filled with colorful, changing leaves, crisp, refreshing air, fun family festivals, and of course, Oktoberfests! To help you get the most out of this wonderful time of year, Western Union (WU) has compiled the 5 best places to travel this Fall to take advantage of everything the season has to offer. The home of the original and best Oktoberfest, Munich is the place to be from mid-September to early October. Every year, the fest welcomes around six million visitors from around the world who come to eat, drink, and dance ‘til they drop. In addition to the festival tents, there’s a fairground with carnival rides and attractions, so families aren’t left out of the fun. The first two days of November are celebrated in spectacular style during Mexico City’s Dia de los Muertos (Day of the Dead) festivities. To celebrate those who have passed on, both young and old, the city throws elaborate parades and parties in their honor. Residents build altars in their homes and decorate them with colorful, eclectic skull masks and sugar skulls, and bring gifts and favorite foods to the graves of their loved ones. Diwali is an ancient Hindu festival of lights, and India’s largest and most spectacular festival. Millions of people decorate their homes with strings of lights, lamps, and lanterns, and celebrate over a five-day period, between mid-October and mid-November each year. The sacred city of Varanasi in India is a sight to behold during Diwali, as the city blasts off incredible displays of fireworks that explode over the Ganges River, and hosts music and dance celebrations. This picturesque area along the historic Douro River in Portugal is known for its fantastic wines and ports (fortified wine), as well as steep yet beautiful terraced hillsides. In the Fall, the trees that dot the hillsides explode with hues of rust and gold, making Douro a prime spot to enjoy the gorgeous autumn colors. The fun doesn’t end there; Douro has a vibrant arts scene with hip shops and galleries, allowing visitors to enjoy both modern art and old world elegance at the same time. Speaking of gorgeous Fall scenery, there’s no better place in the United States to experience it than New England, and specifically, Vermont. The quaint town of Stowe boasts sugar maple trees that come alive in shades of red, gold, and orange along the surrounding Green and Worcester mountain ranges in the Fall. Be sure to visit during the Stowe Oktoberfest, where the town’s event field is transformed into a Bavarian village, complete with Oompah bands, authentic Bavarian foods, and freshly-brewed Vermont beers. Best of all, you’re helping the community; Stowe Oktoberfest is a fundraiser for the local Rotary Club, which provides scholarships and support to local charities. These are five amazing places to travel during the Fall, but there are many others! 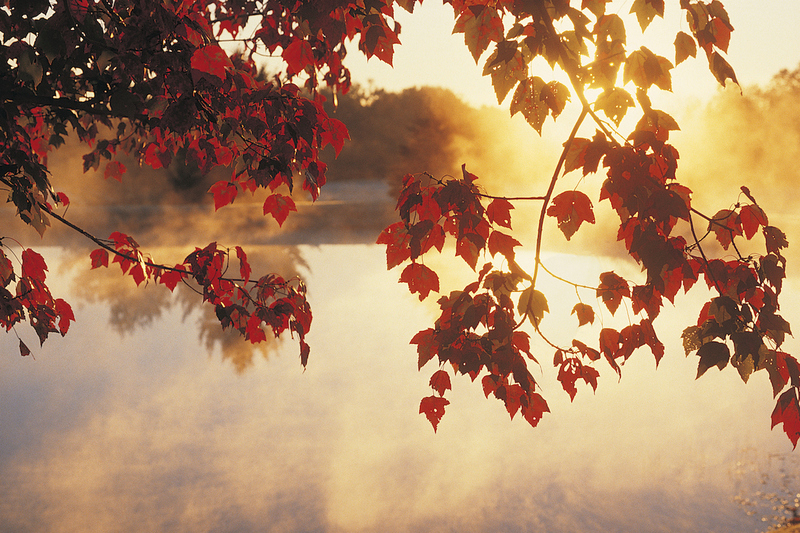 What recommendations do you have for Fall travel spots around the world? Leave your suggestions in the comments!